Tune in regularly to hear our Wine Guy, Tom Jiaras, teach you about wine. If you're intimidated by wine, we've got you covered. Tom will help you get comfortable enough to learn about wine and enjoy it. We have a great, new "Wine Topic" each time he's on the show. 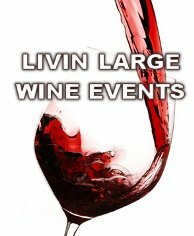 Tom also holds Wine Events all around Chicagoland in partnership with top restaurants. When you attend, you can sample many different types of wine, ask questions, meet wine makers, enjoy incredible food and above all - have a great time. Tom can ship you wine from his wine warehouse at excellent prices. Additionally, Tom has hard to get, limited distribution Wines.